Postcards were the texts and emails of the early 20th century. Messages written on postcards were not private, but postage was only a penny and they quickly caught on. This collection of postcards, written between a set of cousins, is a snapshot of life in Salem in 1912 and contains some fun (and occasionally sassy) interactions between family members. Mary “Mollie” Decker was born in October 1849 in Ipswich. 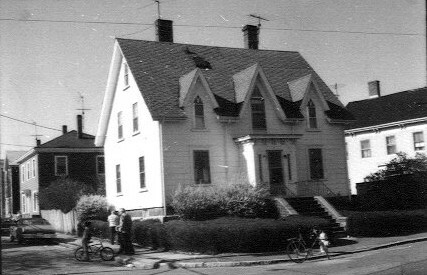 Her family later moved to Margin St. in Salem. 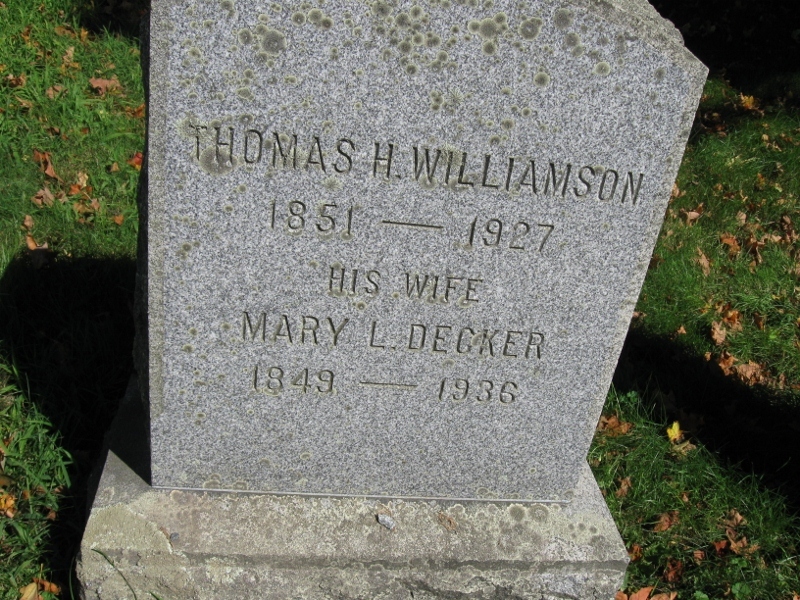 On April 15, 1885, at the age of 35, Mollie married Thomas H. Williamson Jr., a local shoecutter, and they lived with her family on Margin St. before moving to Beverly. Until her marriage, Mollie lived with her family in this home at the corner of Margin and Summer Streets.The Gothic Revival structure is still a private residence now known as the William H. Farnham House. By 1900, the couple moved to New Hampshire, where Thomas was a farmer. Mollie appears to have kept in constant contact with her younger cousins Abbie, Alice, and Ellen, three sisters who lived on Gardner Street in Salem. On this postcard Mollie’s cousin Abbie writes to update Mollie on the health of the family. Can you spot the X on the postcard image? Abbie placed this X to illustrate to Mollie where her new office was. Most likely, Abbie worked in that building as a clerk or secretary. The Witch House, often incorrectly referred to as the Roger Williams House, was a common image on postcards in the early 20th century as the Witch Trials history became popular following the 1892 bicentennial. The house is known as the Witch House due to its connection to Judge Jonathan Corwin who lived in the home during the trials. estates in Beverly. Like many people, the Taft family sought relief from the city heat by summering on the North Shore coast. President Taft was known for being social during his stays in Beverly, often found on the local golf courses or participating in parades and events. Although this collection of postcards provide incredible insight in to the life of Mollie Williamson and her family, we are still left with a lot of questions. What did Mollie look like? Did she have the same sense of humor as her cousins? What was her day to day life like in New Hampshire? These questions might be answered by further research, but for now Mollie remains a mystery. *This article was written by Jen Ratliff for use by Salem Maritime National Historic Site, which all postcard images belong. Edited by Emily A. Murphy, Ph.D.